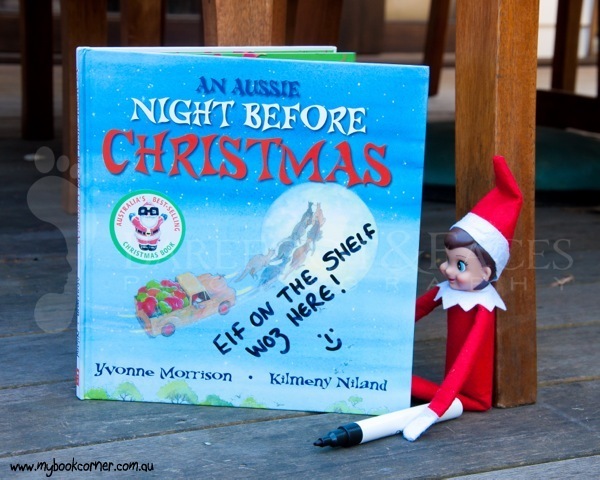 The Elf on the Shelf is going global. November 2012 saw the cheeky character’s official arrival in Australia. Woohoo!! We couldn’t let the occasion go unmarked, so with the help of Barefoot & Faces Photography, we kindly took it upon our shoulders to show this little Elf a little bit about Australia – and she certainly obliged! 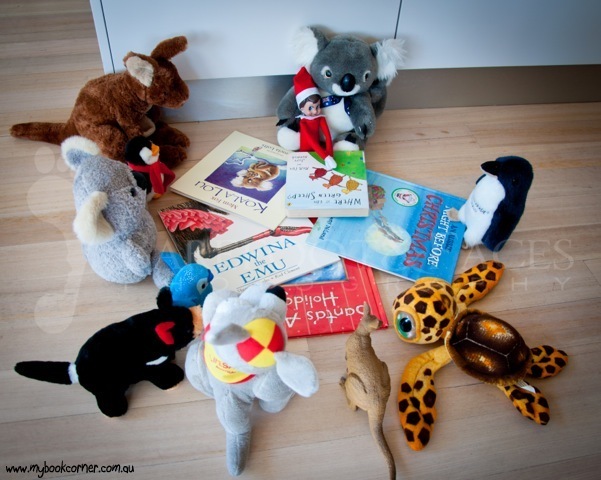 This one swiftly became a favourite – it would seem that even little elf is a Mem Fox fan! Now that she was clearly becoming much more settled, we felt it our duty to teach her a little bit about the Australian landscape, including its flora & fauna. Unfortunately we left the wildlife talk a little too late …. 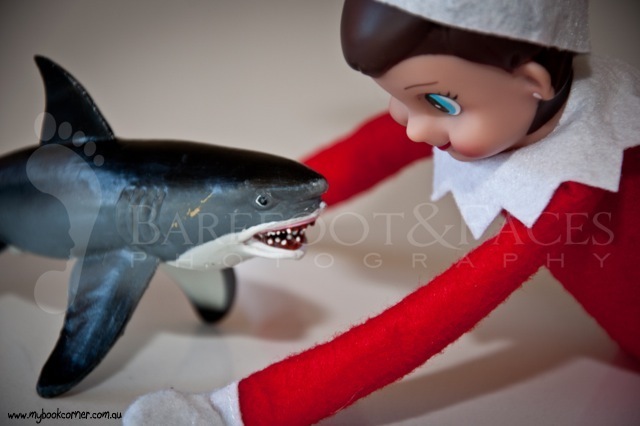 Luckily we got there just in time – Disclaimer: no elves were harmed during this photo shoot. 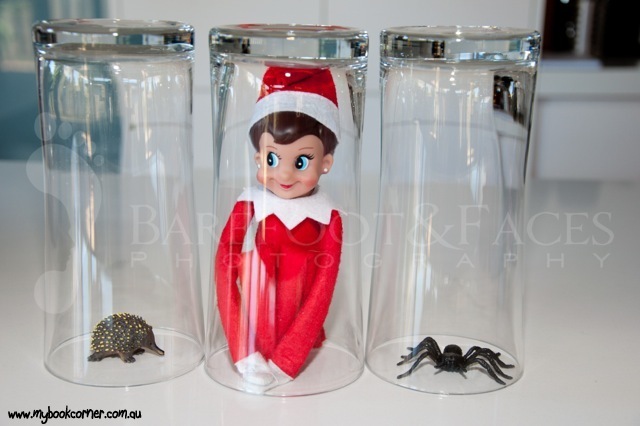 Luckily Elf began to discover her inner Aussie and turned crocodile hunter before too long …. …. and it seemed it didn’t take her too long to work out how to control those pesky spiders ….. Pop back for the next instalment of Elf’s adventures. Day Two our elf gets hungry, and on Day Three we were brave enough to take her outside! Day Four was some long overdue quiet time, at least, that was the plan. Looking for your own elf? The Book Depository currently have the full selection with free worldwide delivery.